AMARILLO, Texas (Reuters) - In a sprawling plant near Amarillo, Texas, rows of workers perform by hand one of the most dangerous jobs in American industry. Contract workers at the U.S. Department of Energy’s Pantex facility gingerly remove the plutonium cores from retired nuclear warheads. The United States has a vast amount of deadly plutonium, which terrorists would love to get their hands on. Under another agreement, Washington and Moscow each are required to render unusable for weapons 34 metric tons of plutonium. The purpose is twofold: keep the material out of the hands of bad guys, and eliminate the possibility of the two countries themselves using it again for weapons. An Energy Department website says the two countries combined have 68 metric tons designated for destruction - enough to make 17,000 nuclear weapons. But the United States has no permanent plan for what to do with its share. Washington has not even begun to take the steps needed to acquire additional space for burying plutonium more than 2,000 feet below ground - the depth considered safe. 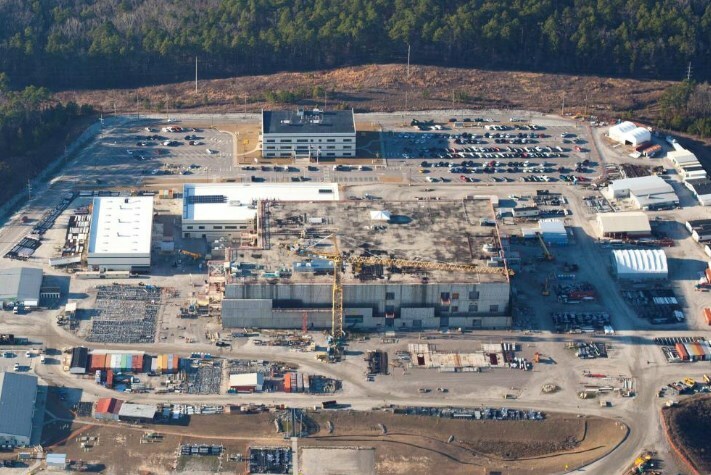 Much of America’s plutonium currently is stored in a building at the Savannah River Site in South Carolina - like Pantex, an Energy Department site. Savannah River used to house a reactor. Local opponents of the storage, such as Tom Clements, director of SRS Watch, contend the facility was never built for holding plutonium and say there is a risk of leakage and accidents in which large amounts of radioactivity are released. The Energy Department has a small experimental storage site underground in New Mexico. The department controls the radioactive materials - plutonium, uranium and tritium - used in America’s nuclear weapons and in the reactors of nuclear-powered aircraft carriers and submarines. In a Senate hearing in June 2017, Energy Secretary Rick Perry said the Energy Department has been in talks with New Mexico officials to enlarge the site. Environmental groups there have strongly opposed expansion. President Donald Trump has sided with the Energy Department in wanting to kill the MOX project because of the extreme cost overruns and delays. The Energy Department, beginning in the Obama administration, favored closing down the MOX project for the same reason, but Congress overruled it. The federal budget adopted in February, however, specifies a means for ending the project, if a study shows that dilute-and-dispose would be at least 50 percent cheaper than making MOX. The National Nuclear Security Administration, the part of the Energy Department that oversees the nuclear sites and materials, favors switching to the dilute-and-dispose method. In recent testimony before a House of Representatives subcommittee, Lisa Gordon-Hagerty, the new NNSA administrator, said that method would “cost billions less” than completing the MOX plant. Plutonium is a versatile nuclear bomb material. Terrorists would need only 11 kilograms or less to make a bomb, Lyman says. Its ordinarily limited radioactivity makes plutonium safe for terrorists or other thieves to transport with little risk of radiation injury. It goes undetected by most sensors. It radiates alpha particles, relatively large on an atomic scale, which means the thin glass of a test tube, the leather of a briefcase, or even air or skin stop them. The danger from handling small amounts is inhaling plutonium dust. In that case, the dust spreads from the lungs throughout the body, causing multiple kinds of cancer. The federal government now has no solution in sight to dispose of the plutonium permanently. Its one effort to make it unusable for bombs has turned into what the White House and Energy Department say is a costly failure. The MOX project, at the Energy Department’s Savannah River Site in South Carolina, has been kept on life support by Congress thanks to the influence of South Carolina Senator Lindsey Graham and other lawmakers. The MOX plant employs about 2,000 people in Graham’s state. Graham and other Congressional backers say MOX is the best way to keep plutonium out of the hands of terrorists. They note too that the pact with Russia requires the United States to use MOX as the method for disposal. Today’s plutonium glut mainly is a legacy of the Cold War. The quantities now seem surreal. By 1967 the U.S. nuclear arsenal reached its apex, with 37,000 warheads. The Soviet Union’s peak came in the 1970s, with approximately 45,000. These were enough to destroy life on Earth thousands of times over. Amid the terror and aggressiveness then of government and military leaders on both sides, little or no thought was given what to do with the warheads should the risk of mass annihilation ebb. Daniel Ellsberg, best known for leaking in 1971 the Pentagon Papers about the Vietnam war, in the early 1960s was an adviser to the Air Force and White House on nuclear policy. He recently published a book detailing and criticizing the nuclear policy debates and decisions of that era. In a phone interview, he said disposal of weapons was never considered at the time. Treaties that dramatically reduced U.S. and Russian nuclear arsenals were signed soon after the Soviet Union fell. It was then that the magnitude of the problem – disposing of the surplus plutonium – dawned on the two countries. Scientists proffered ideas, nearly all involving making the plutonium forbiddingly dangerous for malefactors to transport and burying it deep underground. Instead, under a 2000 treaty, the United States agreed to transform the 34 metric tons of plutonium into MOX, unusable for bombs. Russia agreed to destroy the same quantity using a special type of reactor. But the United States had never before built a MOX plant. No U.S. civilian reactor had ever used MOX as fuel. This misplaced optimism led to one of the costliest snafus ever in U.S. government construction. Work began in 2007 to build a MOX plant that was to be operational by November 2016. The Energy Department now estimates that, if allowed to proceed, it will not be finished until 2048. In 2007 the Energy Department said the total cost would be $4.8 billion. Now it estimates the cost at more than $17 billion. Building of the plant began when detailed designs were between 20 percent and 40 percent complete. But once initial construction finished, the contractor, under instructions from the Energy Department, breezed ahead without architectural plans. Reports from the Union of Concerned Scientists said rooms were built for laboratories and offices where none were needed. Ventilation ducts and electrical wiring were in the wrong places. Plumbing was a maze of misplaced pipes. The contractor later had to rip out much of its work and start over. The contractor is a consortium of companies, CB&I Areva MOX Services. It includes CB&I (formerly Chicago Bridge and Iron), based in the Netherlands, and Areva, which specializes in nuclear-related and alternative power projects, majority owned by the French government. But Gordon-Hagerty, the National Nuclear Security Administration’s new chief, testified in March before a House Appropriations Subcommittee that it is “nowhere near” 50% complete. Government Accountability Office reports (here and here) criticized the Energy Department for awarding a “cost plus” contract, which guarantees a profit regardless of how much work is done. In an emailed response to questions for this article, Lindsey Geisler, a spokesperson for the NNSA, said that in 2011, after the contract had been awarded, “NNSA recognized the need to institute project management reforms.” She said the NNSA established a new office to better oversee contracting and acquisition, and that practices have improved significantly. An Energy Department panel reported in 2016 that there is no US market for MOX. To use MOX fuel rods, civilian power plants would have to modify their reactors, requiring lengthy relicensing by the Nuclear Regulatory Commission. The report said the best the Energy Department could hope for was to give the stuff away. 0 Response to "America's nuclear headache: old plutonium with nowhere to go"